Home Late Model Stock Cars CARS Late Model Stock Tour Gray holds off Lemons, Berry for first CARS Tour victory. 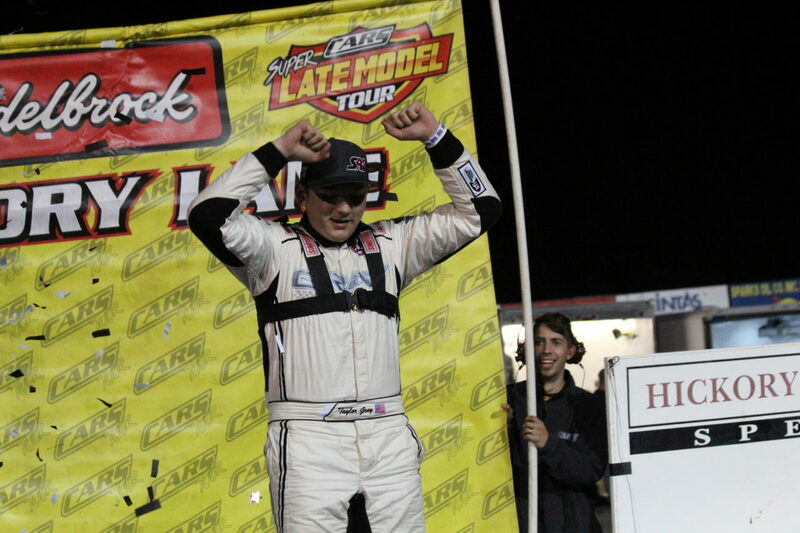 Taylor Gray celebrates in victory lane after picking up his first CARS LMSC Tour victory at Hickory Motor Speedway on Saturday evening. Photo: Langley Austin. Gray holds off Lemons, Berry for first CARS Tour victory. Taylor Gray faced the ultimate test in picking up his first career CARS LMSC Tour victory at Hickory Motor Speedway on Saturday evening, as he had to hold off Late Model veterans Josh Berry and Tommy Lemons Jr. on several occasions during the final laps of the MTP Tire 300. The young Denver, North Carolina native proved to be more than capable of the challenge, as he passed Lemons with less than 15 to go and pulled away to pick up the win. After starting in the fourth position, Gray was able to quickly move up into second and settle into a rhythm behind polesitter Bradley McCaskill, who led for most of the opening 40 laps. After the Lap 40 competition caution, Gray got the run he needed on the outside to pass McCaskill and took the top spot away from him to lead his first laps in his CARS Tour career. 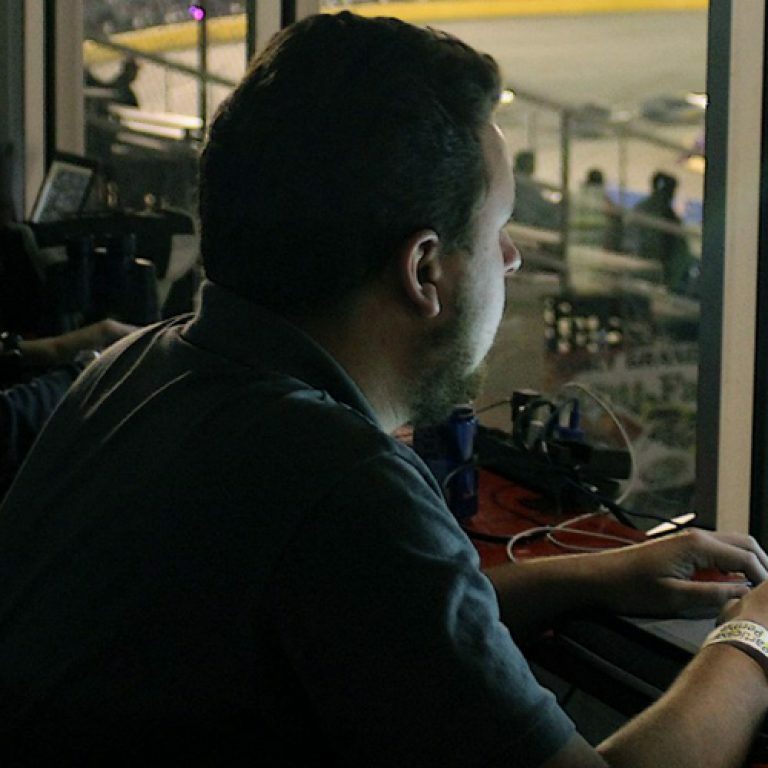 The rest of the race would feature numerous accidents that eliminated several strong contenders such as Layne Riggs and Justin Carroll, but Gray maintained his grip on the top spot while drivers like Berry and Lemons attempted to conserve their equipment. Berry would be the first to get to Gray, as he passed him for the lead on a Lap 106 restart, but the 2017 CARS Tour champion would only be out in front for a handful of laps as Gray used the bottom to regain control at the front. Berry’s car would fade over the last 50 laps of the race, which allowed Lemons to move into second and secure the top line on the restart following another caution. Lemons passed Gray for the top spot on Lap 129, but his decision to take the inside lane on the last restart of the race would cost him, as Gray used the momentum on the outside to take the lead for the final time. Brody Pope, who started the 150-lap LMSC feature in 16th, came home in third, while Berry and Bobby McCarty rounded out the Top 5.